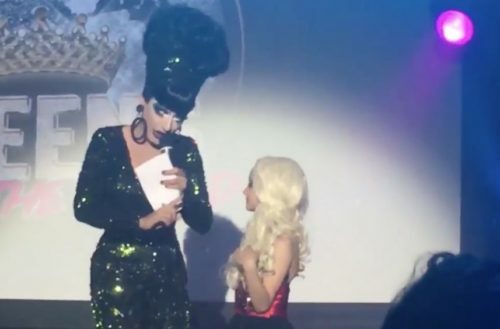 During a stop on the Werq the World tour, Bianca Del Rio brought a little boy in drag on stage – and the result is adorable and hilarious at the same time. Her name is Lataysha, and the fan was serving a look that proves she may be fit for RuPaul’s Drag Race season 18. When Del Rio asks who Lataysha’s favorite Ru girl is, you would think she would answer, “Bianca Del Rio.” Not this queen. She responded, “Ginger Minj,” in true shady defiance and the crowd went wild. 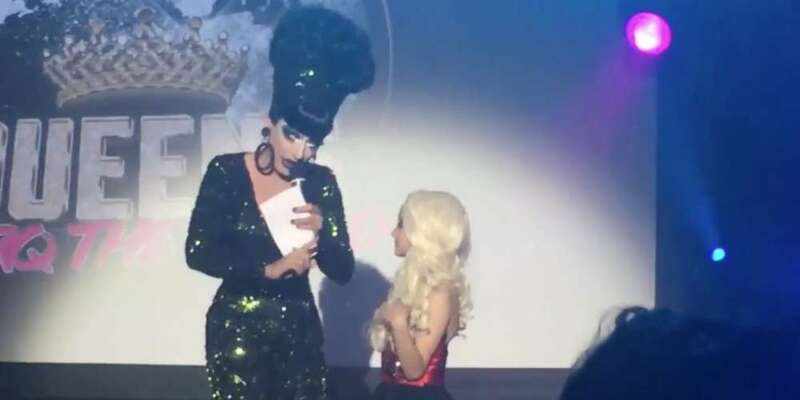 The show in Montreal, Canada was part of Brandon Voss’ Werq the World Tour, hosted by Del Rio and Michelle Visage. The tour also features live performances by Alaska, Alyssa Edwards, Detox, Kim Chi, Latrice Royale, Shangela and Violet Chachki.